For the above reasons the Hans Böckler Foundation and the European Trade Union Institute brought together trade unionists, policy-makers, researchers & scientists, journalists and practitioners to discuss how workers’ voice can be brought decisively to policymakers’ attention in Brussels – as driver and practical guarantor of the Social Europe of the future. During the first day the keynote speech was delivered by Evelyn Regner, MEP, who emphasised, among others, that 'Europe will either be social, or will not be at all'. 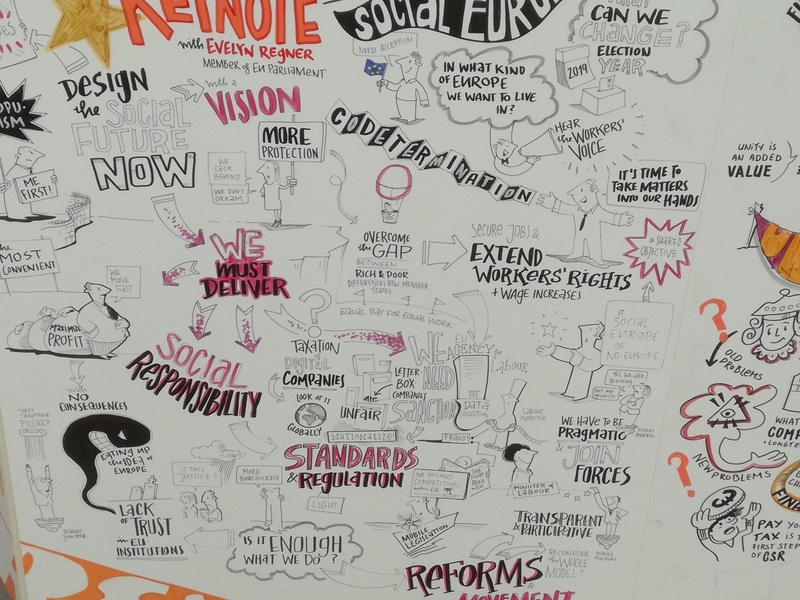 Ms. Regner delivered an evaluation of the hitherto achievements of the current Commission in the area of social affairs, emphasising that while some points on the agenda were achieved (e.g European Labour Authority, European Pillar of Social Rights) more should and must be done. 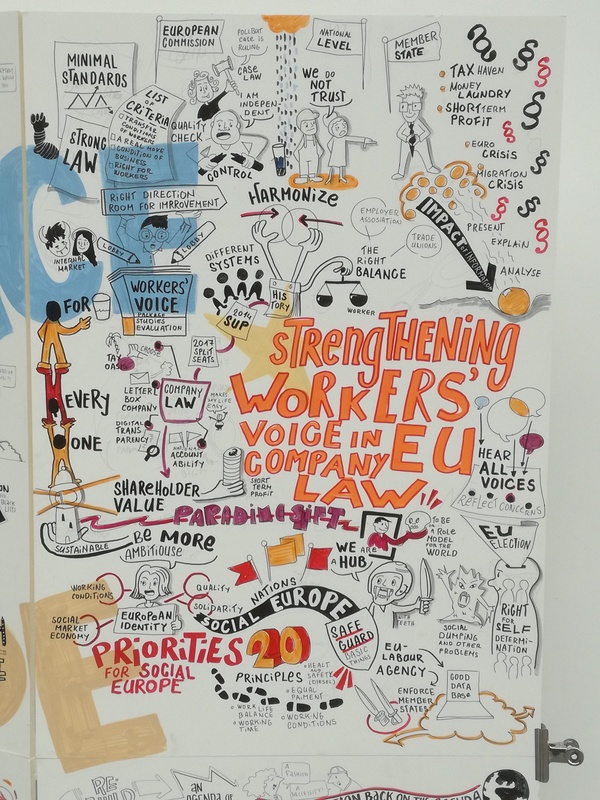 In Workshop 1 the discussions focused on the link between workers' voice, the role of workers in corporate governance and the potential for linking workers' voice with the CSR. In this vain Pierre Habbard, member of TUAC, Albert Kruft and Lucia Peveri incited discussions about holding business/companies to account in the global supply chain, EU's social model and its influence on the rest of the world (not to the least via Transnational Company Agreements co-signed by some EWCs as well as via creation of Global Works Councils). 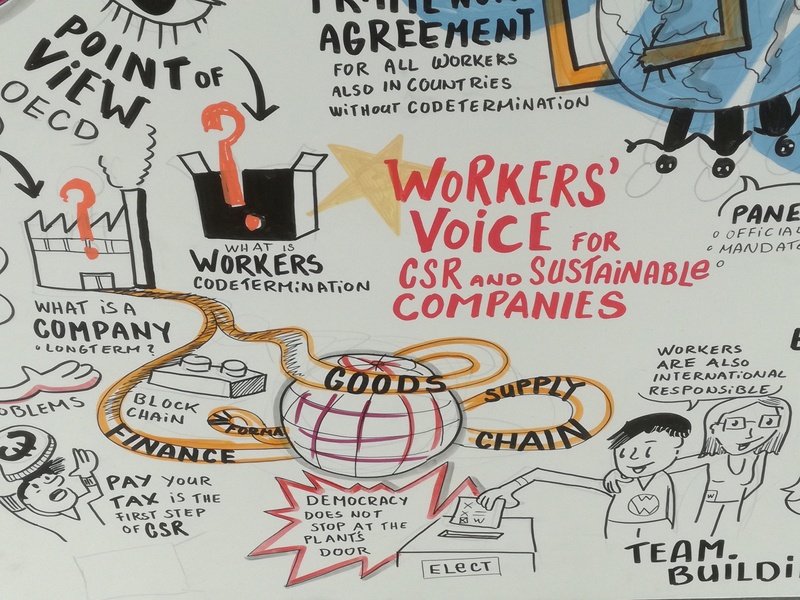 It was pointed out that companies ability to compete on global markets and their sustainability must also encompass social sustainability and workers' voice. An important link was drawn between the proliferating debates on the concept and vision of future labour and the lack of discussions on the future of company and its role in society and economy. 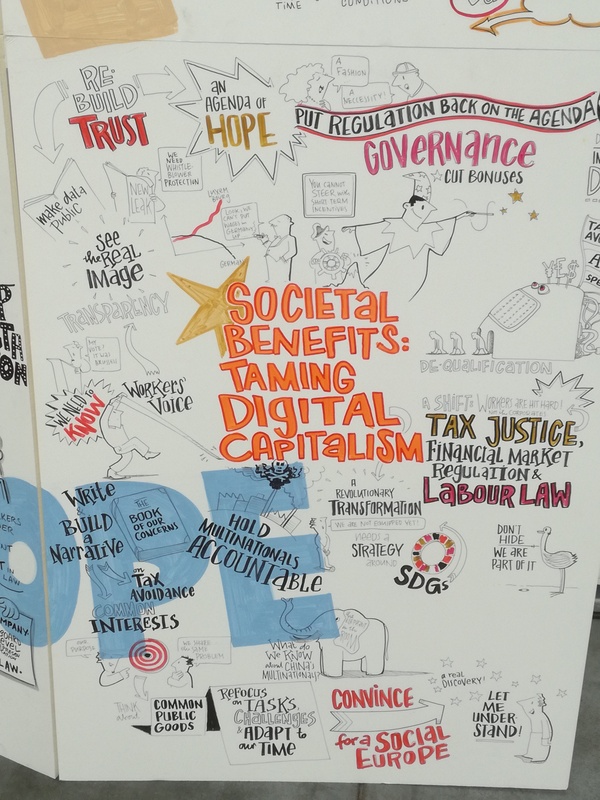 It was emphasised that future companies must be recognised as having a social role beyond having exclusively an economic role and responsibility. In this regard it was emphasised that being socially responsible and sustainable must mean being socially sustainable and paying fair taxes. The link to tax evasion, optimisation and holding companies accountable was made very explicit. 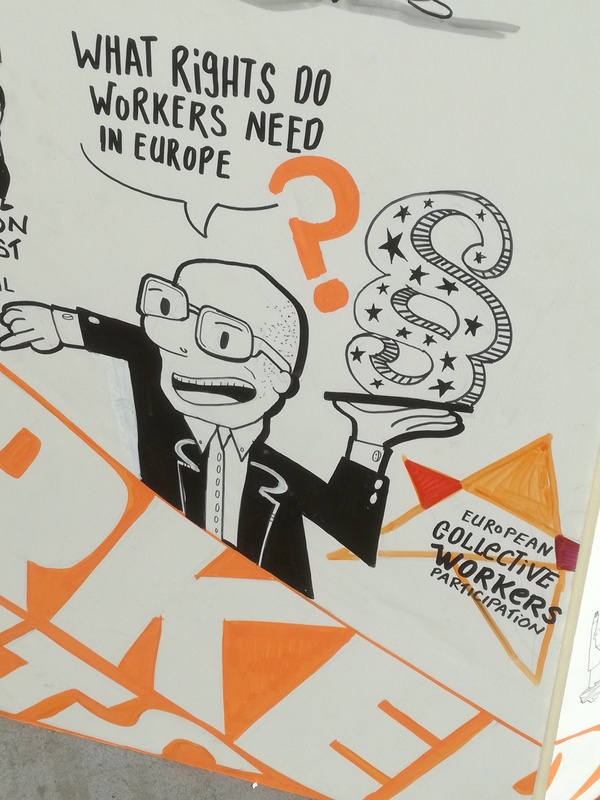 In the closing session of Day 1 Udo Rehfeld of IRES presented a brief overview of the origins of the system of workers' participation, showing that it stemmed from France rather than Germany. Robbert van het Kaar of University of Amsterdam and member of the ETUI's GOODCorp Network emphasised that the recently adopted by the European Commission company mobility package may represent a danger for workers rights, which are not sufficiently protected there. 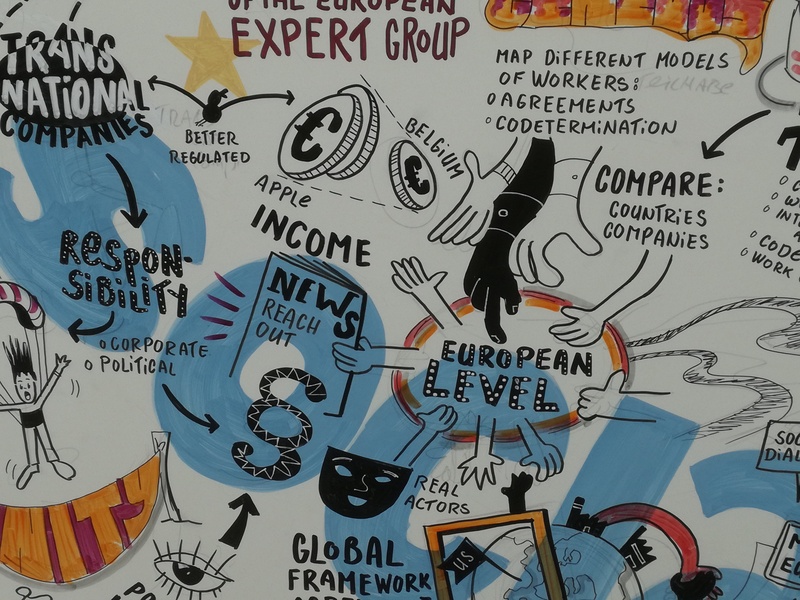 In Workshop 2 questions about the role of codetermination in shaping Europe's future were discussed. 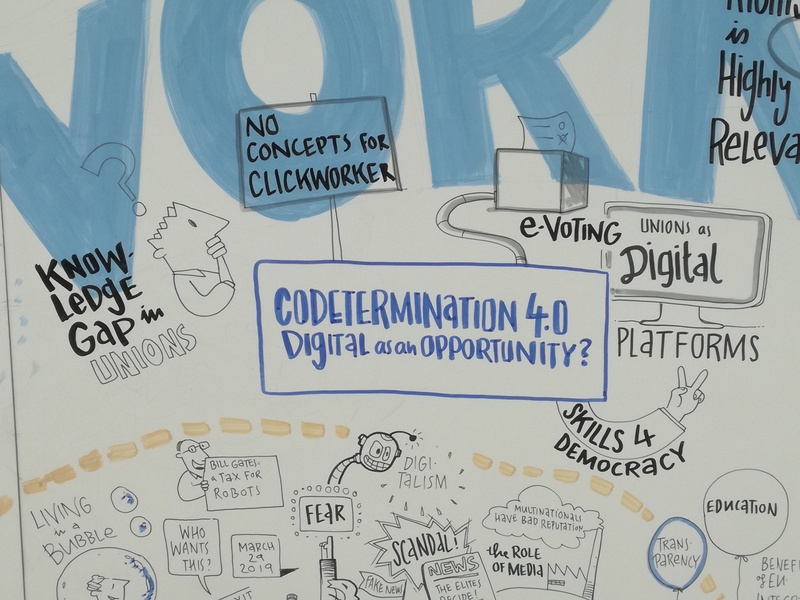 The participants were exchanging views with regard to the areas in which more codeterminaiton is needed, pointing clearly towards digitalisation and the advent of artificial intelligence and platform work. Day 2 was opened by an interview-talk with Maria Jepsen, Director of the Research Department at the ETUI, who talked about the priorities for Social Europe. 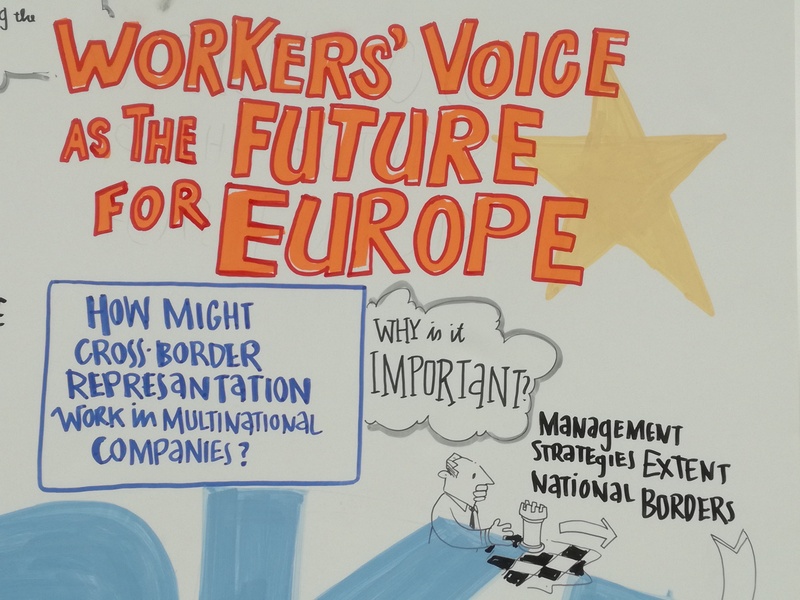 The interview was followed by a panel on 'Strengthening workers’ voice in EU company law – is it on theagenda of the EU company mobility package and the REFIT programme?' featuring Peter Scherrer (ETUC), Isabelle Schömann (Regulatory Scrutiny Board, European Commission, Brussels) and Renate Nikolay (European Commission DG Justice). P. Scherrer pointed out with regard to the company law package that the glass was half- or only one-third full, as the the new company law package contains now some provisions on #workersvoice and in this sense it's a step in the right direction, but more needs to be done and more detailed analyses is of its impact on workers' rights are necessary. In the closing panel discussion 'For a social Europe: societal benefits for Europe:Taming digital capitalism Tax justice, financial market regulation and labour law' attended by Markus Meinzer (tax justice network, Chesham), Udo Bullmann (Member of European Parliament, Brussels), and Maria Helena André (Bureau for Worker ́s Activities (ACTRAV), ILO, Geneve) spoke of topical developments in taxes, company behaviour and financial regulation. 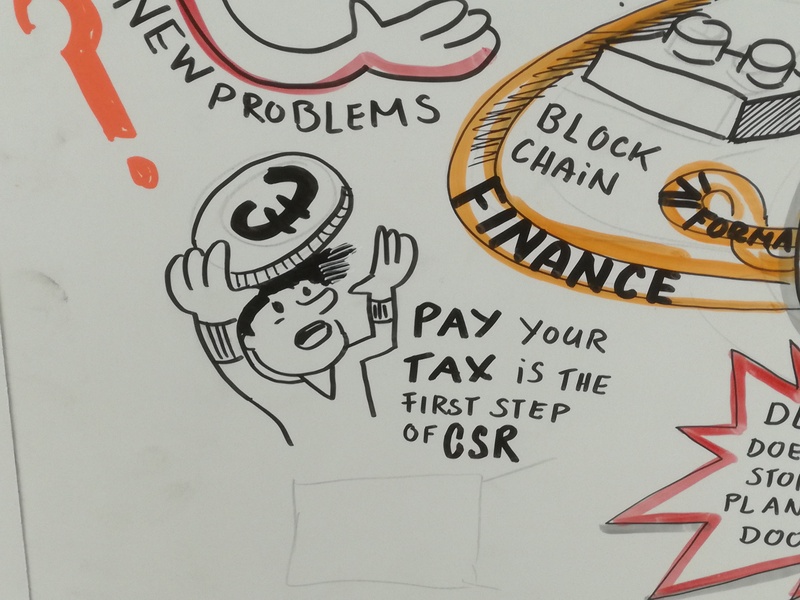 Mr. Meinzer emphasised that tax justice is not a leftist agenda and that it was very much a centre one, geared towards defending the market from eating-up itself. He also showed how in the past 40 years a tax shift in Europe occured with companies contributing less to and benefiting more from societies and their infrastructure. 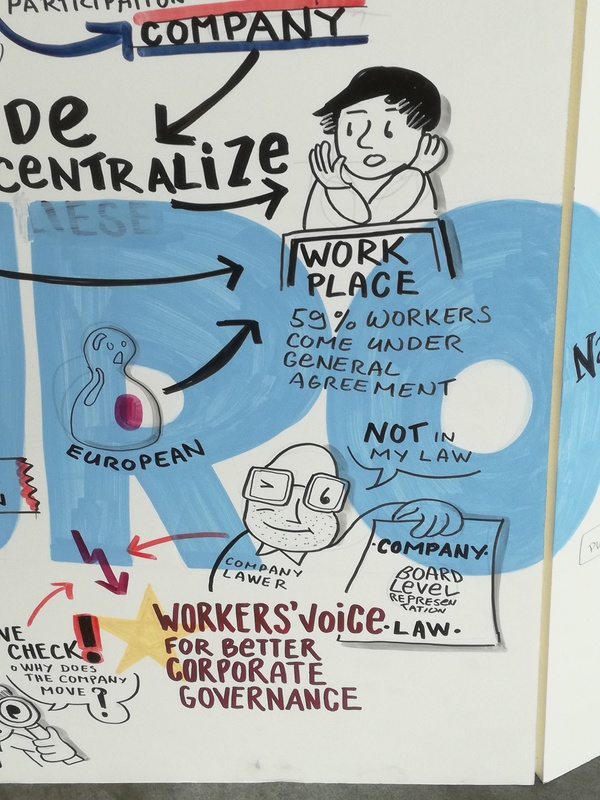 The discussions focused on how workers are played off against each other based on tax competition arguments and how the EU labour market could be the leader of global change. Participants also reflected on how the 2019 elections as an opportunity for a paradigm shift in company law towards a #sustainable company? Further insights into the discussions can be found also in the summary by Norbert Kluge, HBS.